A dual A-frame base for elevating your amp off the floor, reducing sympathetic resonance and providing better sound presense to you as you perform. Rugged construction stands up to abuse and will support up to 150 lbs. Durable statin black powder coated finish. 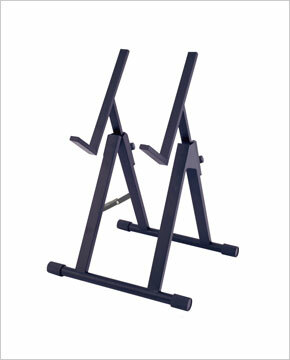 The stand folds for easier transport and storage.